Eastern Illinois University is consistently ranked in the top third of Midwest universities in its class by U.S. News and World Report, Eastern has earned its reputation by offering a wide variety of undergraduate and graduate programs taught by an experienced and caring faculty. In addition to reasonable tuition, fees, and room and board rates, Eastern offers a textbook rental system, saving the average student hundreds of dollars per semester. The Military Student Assistance Center is committed to assisting those who served or are currently serving in the U.S. military, and their family members. We synchronize support with many University departments and services to provide coordinated services and resources in a one-stop location to ensure all military service members are afforded the greatest opportunities for success. We provide a single coordination point for student veterans, military personnel, and members of military families and enhance military enrollment, academic and social integration, and future career opportunities in order to support those who have made sacrifices for the state of Illinois and the United States of America. Register with the Eastern Illinois University Military Student Assistance Center if you are a veteran or service member. We want to make sure we provide you with important University services, programs, and updates. a. Eastern Illinois University is committed to serving its veterans, military personnel, and their families and supporting their academic success. Jenny Stout is the VA Certifying Official at EIU. Visit Financial Aid for more information about the available Veterans Benefits. 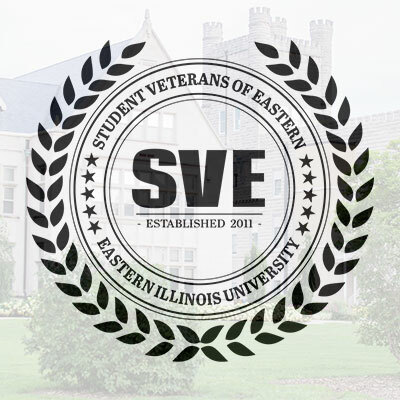 Students & Veterans of Eastern is a registered student organization for EIU students and veterans to promote the general welfare of military service students and families who are enrolled or intend to enroll at Eastern Illinois University. To find out more about SVE, visit their website. There is a monthly newsletter that goes to all student veterans that comes from the Military Student Assistance Center. To view the newsletter and past editions, click here.